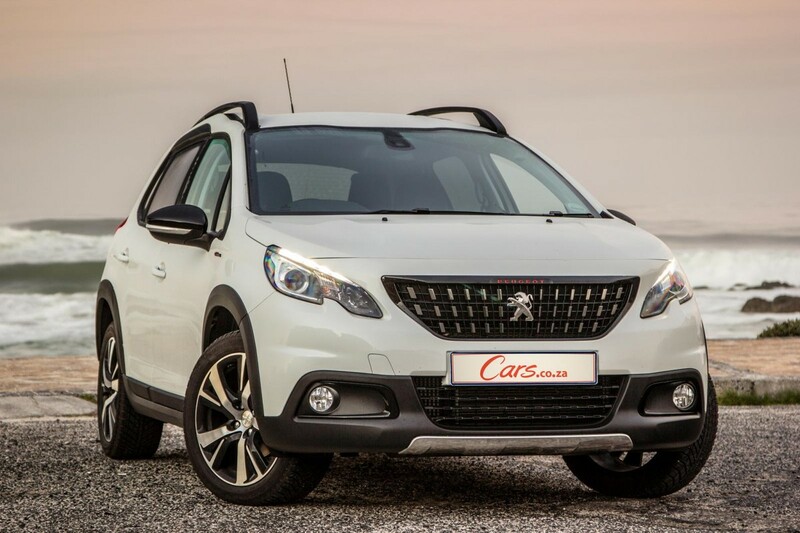 Peugeot, now operating solo in the South African new vehicle market (without sibling brand Citroën), is refocusing its product line-up. 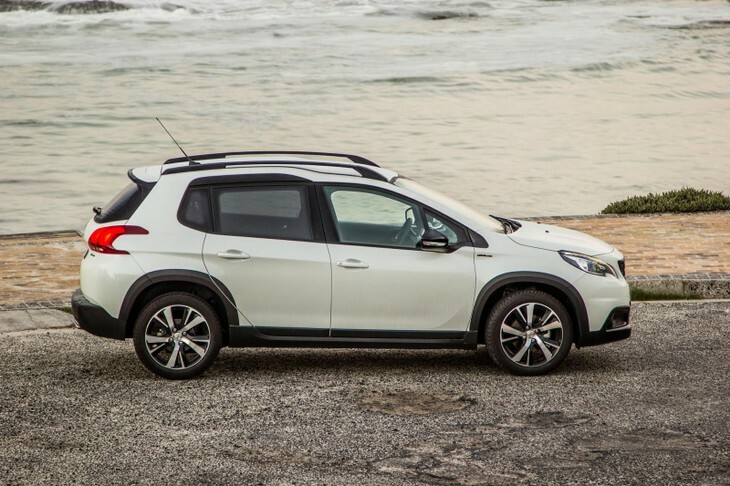 One of the attractive new-generation vehicles that deserves a closer look is the refreshed 2008, a compact family car/crossover that is both practical, and stylish. We tried the flagship 1.2T GT-Line derivative to find out whether it merits your consideration. 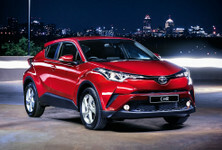 Style... from a trusted brand: The newly launched Toyota C-HR is hard to ignore in this segment. Similarly priced at R356 000 (May 2017), it offers excellent build quality, refinement and the peace of mind that comes from buying a Toyota. But, it has its flaws – the boot is very small and the standard specification can't match the Peugeot's. Quality and design: The Mazda CX-3 is a strong seller locally and should appeal for both emotional and rational reasons – it is solid, refined and well-equipped on the one hand, but also stylish and not entirely "predictable" or mainstream. The 2.0 Individual Automatic sells for R365 400 (May 2017). 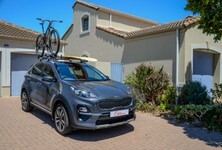 More space, more power: The recently refreshed Opel Mokka X is a strong rival, offering more cabin space than the Peugeot, a more powerful (albeit thirstier) engine, and excellent standard specification in Cosmo trim. It is slightly more expensive (R368 100), but also boasts a stronger warranty and service plan. With its GT-Line trim, smart wheels and upmarket detailing, the 2008 hides its essentially compact wagon design well. 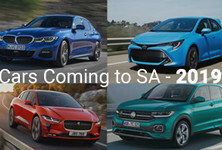 Locally intensive efforts are also underway to restore lustre to the famous brand, and the refreshed 2008 will play a key role as it competes in one of the fastest-growing and most competitive segments of the market, the compact crossover. The GT-Line trim level adds several attractive details to the otherwise conservative 2008 design. 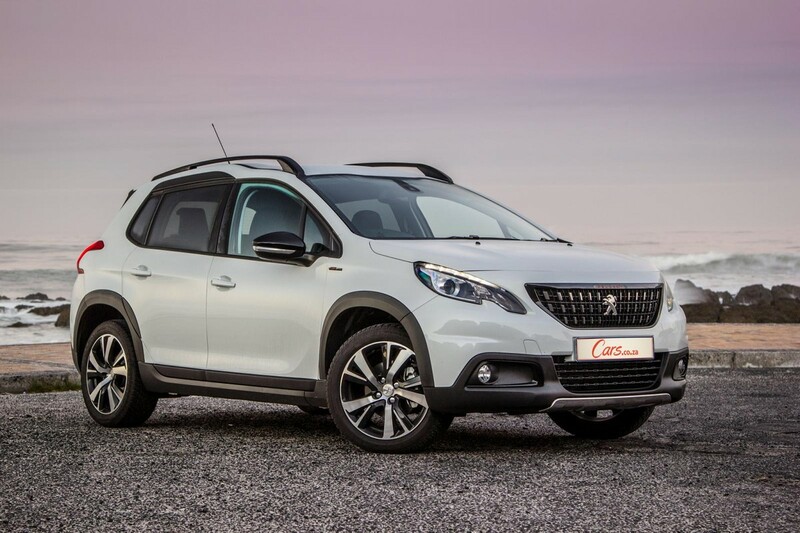 The Peugeot 2008 was originally introduced in 2013 as one of the first of the compact crossovers. 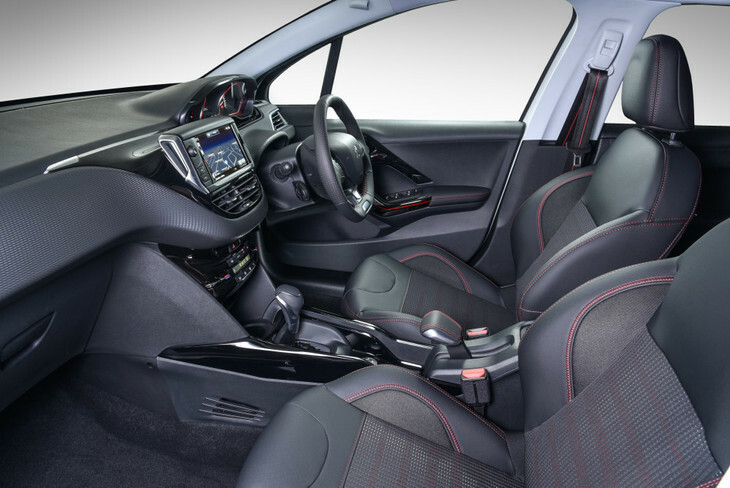 Based on the popular 208, it offers a station-wagonesque bodyshape that is quite conservative in appearance. The combination of a clever facelift and upmarket GT-Line specification, however, makes for quite a handsome vehicle. In truth, the facelift has been subtle but effective. The new, more upright grille design endows the 2008's face with a more assertive appearance where its predecessor played the "cutesy" card. 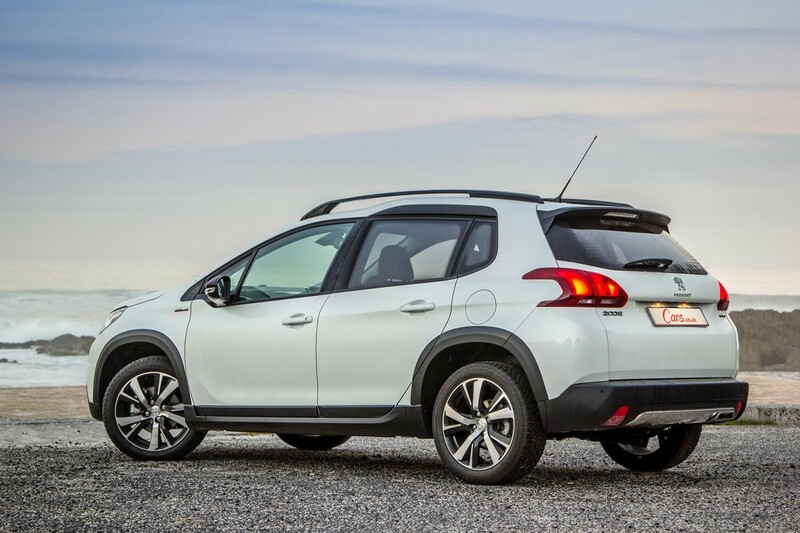 Indeed, it is clear that Peugeot has tried hard to make the 2008 look more macho SUV, less city slicker – witness the greater use of black plastic cladding around the lower parts of the body and the wheelarch extensions. The GT-Line trim package further adds smart, dual-tone 17-inch alloy wheels, gloss black detailing and other shiny bits. The overall effect has been positive, with the 2008 looking at once modern and sophisticated. The 2008's cabin boasts excellent fit and finish and top-notch materials. Step inside and you'll find a cabin that impresses with its Germanic levels of fit and finish. 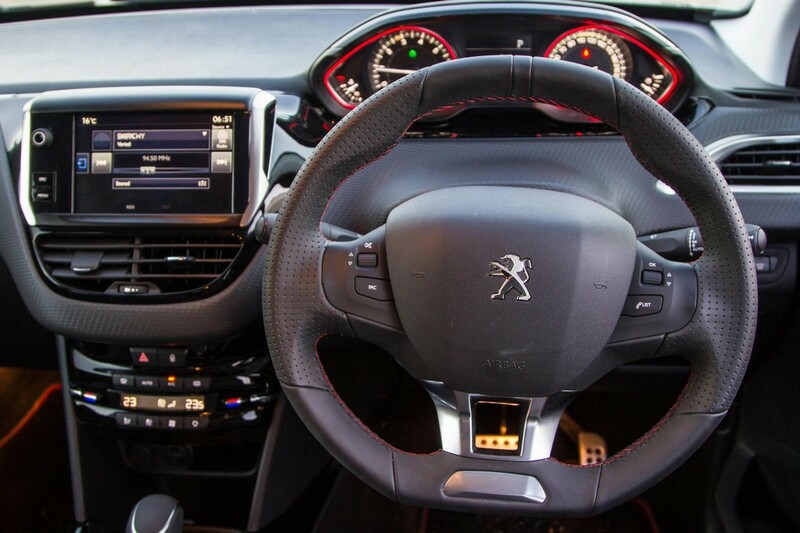 The partially leather-upholstered seats feature exquisite red stitching, a detail that extends to the steering wheel, doorsills and even the oddly shaped handbrake lever. The combination of gloss black and satin silver detailing, with materials that are impressive to the eyes and fingertips, give the 2008 arguably one of the most expensive-feeling cabins in this segment. There is no shortage of standard features in this 2008. 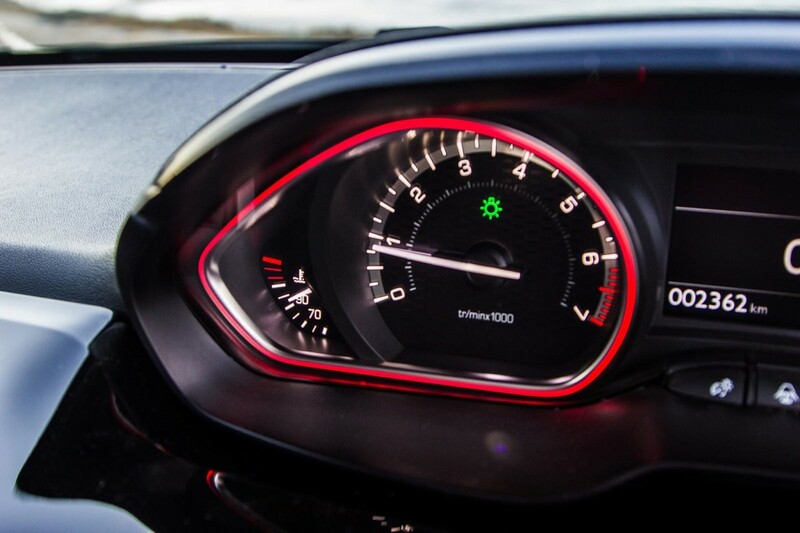 Dual-zone climate control is standard. Save for the quirky driving position, the 2008's cabin is actually pretty straightforward and appreciably practical and comfortable. Those front seats are superbly supportive and comfortable, but arguably eat into rear legroom somewhat. Nevertheless, rear passengers are still reasonably well catered for, with especially headroom being generous courtesy of the stepped roof design. Speaking of the roof, interesting LED streaks are embedded into the roof lining – a nice touch! 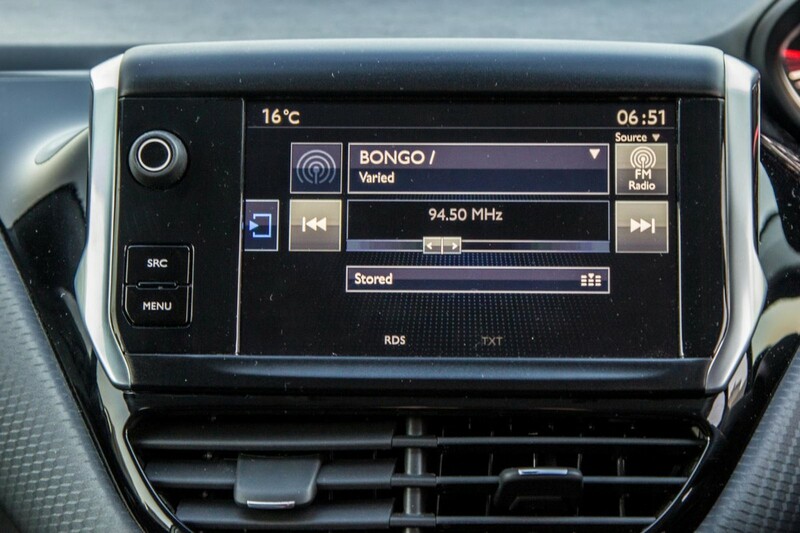 The standard features list is very comprehensive, with dual zone climate control, a comprehensive touch-screen infotainment system (with navigation), auto lights and wipers, 6 airbags, Isofix rear child seat anchorages and cruise control all included as standard. The 2008's load area is significantly bigger and more practically shaped than most rivals. Unlike some rivals, particularly the swoopy C-HR and CX-3, the 2008's more traditionally wagon-shaped body gives it a big advantage in the practicality stakes. 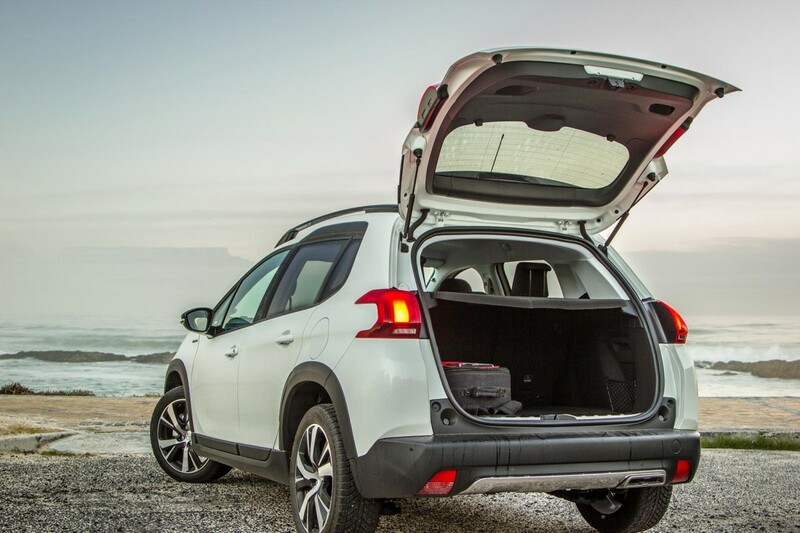 Lift the tailgate and you'll find a spacious luggage area measuring a claimed 410 L with the seats up, way better than almost all potential rivals. Fold down the rear seats and Peugeot claims a total utility space of nearly 1 400 L, which combined the box-like shape of the rear compartment, means that bulky items can also be transported. 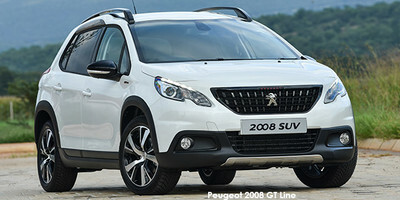 Like most Peugeots, the 2008 offers supple suspension and good roadholding. Peugeot has long been one of the most talented brands when it comes to developing cars that offer both a comfortable, supple ride, and engaging dynamics in the corners. While it is unlikely that many owners would expect thrilling handling from their small crossover, the reality is that the 2008 is actually fun to pilot. 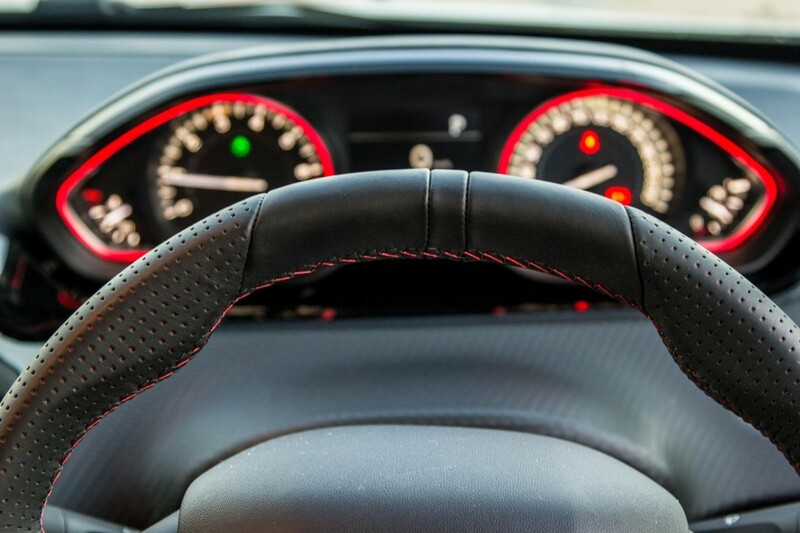 The combination of quick, direct steering and a supple suspension set-up that also resists lean well in the corners will be appreciated by those for whom driving is not merely about getting from A to B. Those drivers who simply want a comfortable, refined and quiet cruiser will find that the 2008 also has those boxes ticked. 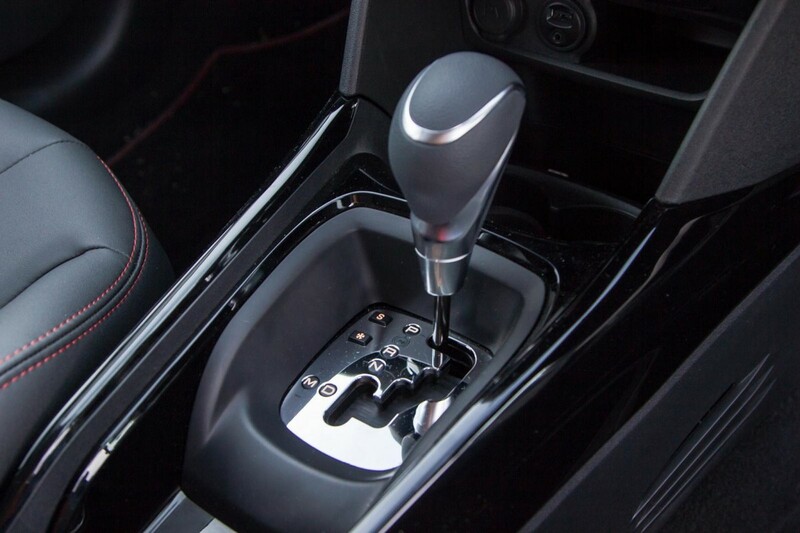 The 6-speed automatic transmission is nicely matched to the willing 3-cylinder turbo engine. Powering this derivative of the 2008 is one of the best downsized engines available on the market, Peugeot's 1.2-litre, 3-cylinder turbopetrol. It delivers a strong 81 kW and 205 Nm of torque, the latter figure being particularly important as it is already available from a low 1 500 rpm. Also consider that the torque output is more than what Toyota's managed to extract from the 4-cylinder engine in the C-HR, as well as being higher than what's on offer from Mazda's naturally aspirated 2.0-litre, as fitted to the CX-3. The engine is mated with a new 6-speed automatic transmission that drives the front wheels. It's particularly well-matched with the engine's power delivery characteristics, resulting in smooth, quick progress. Unlike many other set-ups of this ilk, the 2008 responds very quickly to throttle inputs with the little Peugeot feeling nippy and even quite sporty to drive as a consequence. Could a crossover be genuinely fun to drive? In the 2008's case, the answer appears to be a resounding "yes"! 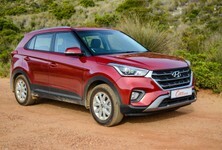 The little 1.2-litre engine is keen to rev and delivers impressive performance (and economy). A feature fitted only to this GT-Line model is called Grip Control. It features 5 settings (normal, snow, sand, off-road and ESP off), and simply uses electronic trickery to adjust the amount of traction on offer for the prevailing driving conditions. 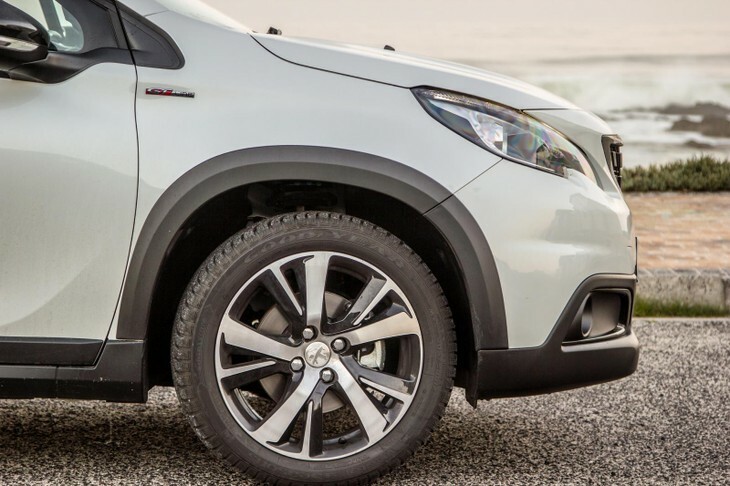 We doubt many drivers will ever get to use it, but it is comforting to know that this little crossover does have some "off-road" ability to go with its 165 mm ground clearance and black plastic-clad wheelarches. 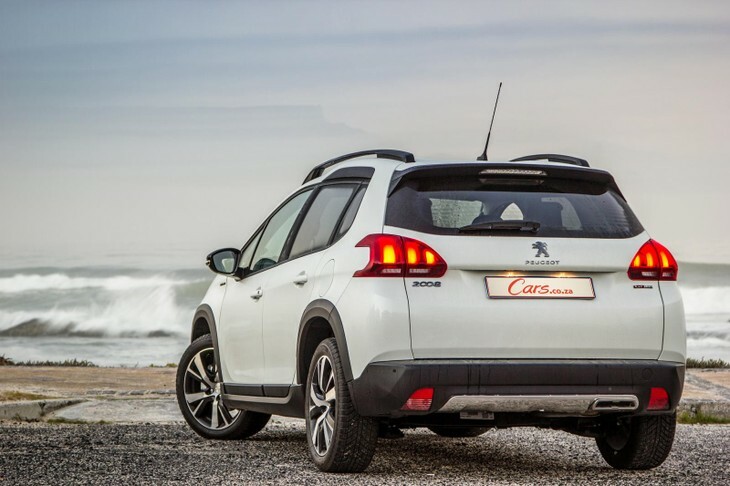 Peugeot claims an impressive combined cycle fuel consumption of 5.2 L/100 km, which is comfortably better than what is claimed for the C-HR and CX-3. In the real world, of course, you're unlikely to match this figure, especially if you use the 2008's impressive performance often. Nevertheless, as far as small turbopetrols go, it is frugal when driven with restraint – we achieved figures of around 7.4 L/100 km during our test term, which you should be able to match or improve upon. The Peugeot 2008 1.2T GT-Line automatic sells for R349 900 (May 2017), and comes backed with a 3-years/100 000 km warranty and 3-years/45 000 km service plan. The service plan can be extended at extra cost, or can be changed to a full maintenance plan if desired. Stylish, practical and with an excellent engine, the 2008 deserves greater success. If you've read thus far, you'll have realised that the refreshed 2008 has turned from an also-ran into quite the star player. We've been impressed with the 1.2-litre engine in the bigger Peugeots before, and it honestly transforms the character of the 2008, providing excellent performance and efficiency. Inside, the 2008 now arguably offers class-leading fit and finish, a generous standard specification package and a more practical cabin than almost all rivals. 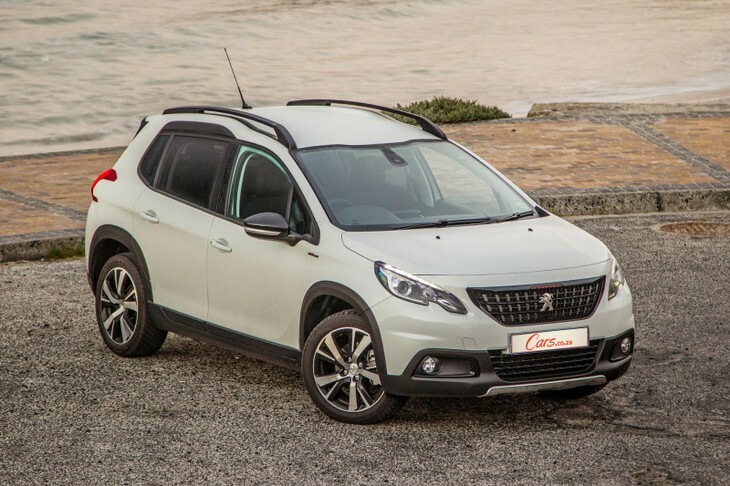 So what stands between the Peugeot 2008 and your cash? Perceptions, most likely... At this point, when there is so much change at an organsational level of the brand in South Africa, one can only speculate as to what the future holds. We do believe that, given Peugeot's European turnaround, the restructuring is both necessary and hopefully successful in a local context. 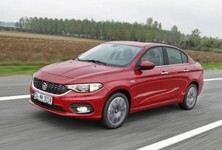 The small dealership footprint, however, will continue to ensure that the 2008 remains a fringe player, which is sad. 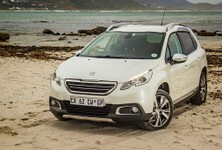 Interested in buying a new / used Peugeot 2008?